Emergence is a process where randomness can give rise to complex and deeply attractive, orderly structures, and events that can’t be predicted or explained on the basis of previous terms. 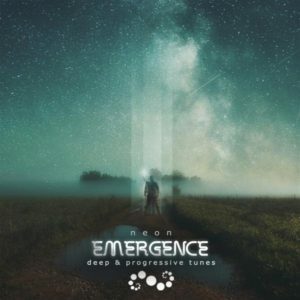 Emergence is also the second full-length album by Neon. In this work some concealed unknown algorithms of progressive trance are being uncovered. This release rises from depths of the unexplainable and is a result of year and a half of work where the artist simply let his ideas freely flow and manifest in musical structures, albeit with the focus on keeping “the game” within the chosen genre. “An emergent property of the soil is fertility. An emergent property of the mind is creativity.” Written, produced, and mastered by alex.neon at Pureuphoria Studio; cover design by Neomorph GFX; original photo by Hendrik Mändla. This release is also available on CD, please support the label if you like the music! MP3 Download | FLAC Download | WAV Download · Download count: 12,420. Great album, creative and pumping, well done! Deeep ! thank you ! Great music, enjoying it a lot! Nice. Very good offering, as usual. Amazing, really amazing album. I wanna make music like this. Very good progressive. For some reason, I didn’t want to like this album when it first started. Don’t ask my why, maybe I was just in a bad mood. But 5 minutes into the first track, I found that that was simply impossible. This is a damn good album, and it totally lifted my spirits. So I thank you for that as well as for the beautiful music. 5/5 stars. For a long time i don’t listen this kind of Progressive music, big approach from Vibrasphere tunes. Love it! brilliant album, wicked atmospheric spacey psych sound. Genial !!! Lange nichts vergleichbares gehört. I just love those psychedelic growly vox! !